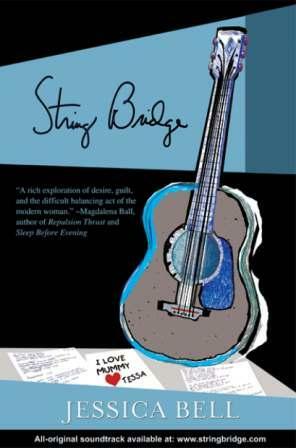 Today I’m not only going to talk about how music influenced the creation of my debut novel, String Bridge. I’m also going to talk about how String Bridge influenced the creation of its own soundtrack, Melody Hill: On the Other Side. Melody, the main character in the novel, is a musician, who struggles to revive her passion to pursue a career in music after the role of mother and wife stunted its growth. The songs that appear in the book started off as poems. But then I thought, wouldn’t it make more sense for them to be song lyrics? And so, I converted the poems into lyrics. Then it occurred to me that I could create and produce an album conceptually written by Melody. Being a singer/songwriter/guitarist myself, and having written and recorded countless songs over the years, meant it was a task that I could definitely undertake. But I became even more convinced of the idea after listening to one of my mother’s songs on YouTube, which conveniently portrayed my main character’s mindset. Now, I was more than inspired. The lyrics of this song are about the push and pull a mother feels from her family to her desires, from her need to be a ‘good’ person, to the pit of guilt and depression that haunts and feeds the creative mind. ‘Do you really want to be this famous?’ is the last line of the song—a question I’m sure every potentially famous person asks themselves at some point or another. Is there anything in this world worth the sacrifice of one’s true identity? Once I finished the final revisions to String Bridge, I sat down with my guitar and wrote music to the four songs that appear in the book by channelling Melody’s musical influences (PJ Harvey, Patti Smith, Nick Cave, Joni Mitchell, Nightmares on Wax, Enigma) and combining their styles of rock, pop, folk, and ambience to create an atmospheric grunge CD that is also a visceral lyrical story. Once those were done, I wrote five more songs in the same vein to complete the album, and had the album professionally recorded and produced. You can hear samples on iTunes. I’m often asked whether being a musician benefits my writing. And I have to say yes. For one, I think sound is a very difficult thing to describe. And even for me, it is not easy. I spent a long time trying to perfect the parts of the novel where music is illustrated. I didn’t only want the words to describe music; I wanted them to sound like music. Being a poet also, I adore playing around with different words and sounds and hearing how they roll off my tongue like a velvety tune. I thrive on constructing sentences with cadence. It’s like singing without a melody—writing to a tempo. That being said, writing also benefits my songwriting. Over the past seven or so years, since actively writing novels, I’ve noticed a huge change in the way I approach writing lyrics. So I suppose both skills feed off each other. I can’t imagine my life without either of them. And do you want to know something funny? I need silence when I write. If there is music playing, all I want to do is sing. This entry was posted on February 14, 2012, 11:58 pm and is filed under My Memories of a Future Life, Undercover Soundtrack. You can follow any responses to this entry through RSS 2.0. You can leave a response, or trackback from your own site. Yikes. I am in awe. Such an incredible range of talent in a single individual is, frankly, a little intimidating. Although your work is definitely not the kind of thing I usually read, I’m intrigued. I took a chance on My Memories of a Future Life and was delighted, so I’m feeling more brave about reading outside my comfort zone these days. I wish you success and happiness with your work. Thank you so much Daniel. 🙂 There have been a few men who have read String Bridge and have really enjoyed it, so I think it’s safe to say, that you might too. Thank you for reading! Roz, thank you so much for having me today, this post was such a pleasure to write for you! As soon as I saw your trailer I hoped I’d persuade you to write for this series, Jessica – a pleasure to get to know your music as well as your writing. What a haunting sound to your trailer – which was also a great music video! 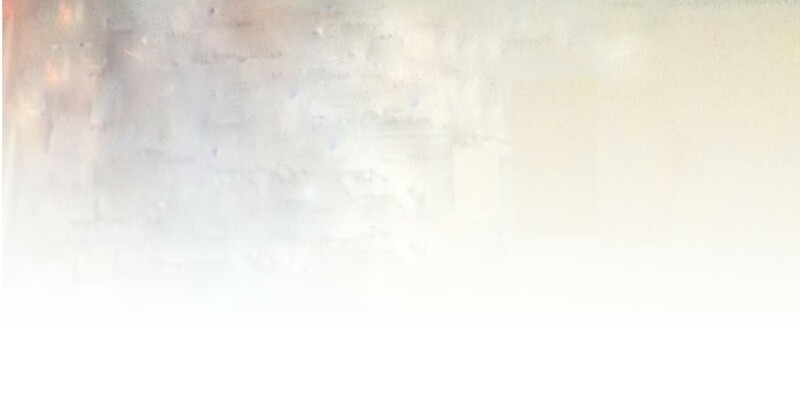 I second Daniel’s remark – you have a lot of artistic talent. All the very best with it, Jessica. I know what you mean about finding it hard to describe, even if you’re a musician yourself. I’ve written about musicians in some of my stories and it’s not easy putting their musical experiences into words. Artemesian, nice to meet another author who writes about music – my novel about a pianist was what started all this! Did you watch the Hard Candy track? That’s awesome too. Jess, I love your trailer and often go back and watch it just to hear you sing – yes, it’s that good! Really? Wow! Thank you, what a compliment! And you excel at both! Your CD was amazing, Jessica. Jessica is a star. Inside and out. I write in silence too, though I adore music. Your voice is incredible on that track and I think you’ve really taken an innovative approach with your book! Very interesting post. I love the quote at the top (which is yours, right?) Did you ever see that movie August Rush. I thought the directing was pretty awesome in how they showed the boy musician’s ability to “hear” music in everyday, common things. Hi Jessica, yes that is my quote. 🙂 I’ve never seen that film, I must look it up! Cheers! Great interview / post. I loved Daniel’s comment above – about how Jessica’s vast talent can be somewhat intimidating. I agree…but once you get over that, it’s a pure pleasure to just absorb her words, whether its through music or her poetry, or her fiction. What a cool idea – certainly will! Jessica, I love the thought of the lyrics also telling Melody’s story. I can see where each talent would feed, change, and strengthen the other. Your skills as a poet/songwriter imbue another layer to the story giving it a stronger emotional punch. Thank you, Sia. And yes, you are absolutely right! I just watched/listened to your trailer, Jessica, and wow. Then watched again. Wow. I’m blown away. Another fantastic guest for this wonderful blog series, Roz. Well done to you both! Thank you so much, Vaughn! thanks, Vaughn! It’s such a pleasure to get to know writers’ work this way. The song is excellent and really conveys what your book is about and I can’t listen to music either, the urge to sing is too great and nobody wants to hear me sing. The plan seemed to have worked out well for you. I can see how being a musician can help in writing since they both involve structure and artful organization. Problems with singing while listening to music while you write? Same here. That’s why i like to listen to classical music when I write. I sometimes play the same piece repeatedly–it becomes like a soundtrack to what I’m writing. Arlee, that’s an interesting point about musical structure and story structure. I’m also a singer and I’ve dabbled with composing songs, though I haven’t done the latter for a long time now. I like analysing song structure and how tracks are built. I find the emotional structure of a song and what a listener needs has interesting parallels with storytelling. Storytellers have to develop an ear for when something needs to change, for interruptions in the pulse of the story that trip it up, an awareness of when a little more complexity is needed, and when you need an echo to draw threads together coherently. Actually, most people would probably just call it intuition! That would be me too. If I can hear music I can’t concentrate. It’s worse than someone calling my name. Although I find that with writing, it’s wonderful to use that and let the music take over the storytelling. I will never cease to be amazed by how multifaceted Jess’s talents are. She stuns me! It was lovely having her here today. First composer we’ve had on the series! And I enjoyed being here! Would you like to guest on my blog at some stage? I’d LOVE to have you. Yes, yes, yessity yes! What do you want me to do?! I’ve just this minute ordered your book. Which I will read as soon as I get it because I’m SO excited to read it! And once I’m done, and have a better feeling about how and what you write, I’ll email you about a guest spot! Sound good? Aw, you’re sweet. Thank you, Lydia. The music in your trailer is awesome Jessica. I hope String Bridge is doing well! Great post. Thank you, Denise! All going great! Very cool! I wish I could write and compose and perform music. That’s very cool! Hi Porter. I don’t think Australia’s music scene is any different from that in the US. And I don’t think I “copy” anybody. I write how I write because that’s the style and sound that is ‘me’. May I ask how you came to the conclusion that my style is like Southwestern US pop? By just listening to the trailer? I think you’ll change your mind if you listen to the soundtrack in its entirety. In addition, I can’t really see how adopting the sounds of Greek traditional music is relevant in this case. The soundtrack is conceptually written by the main character in String Bridge. She is an Aussie rocker who now lives in Greece and seeks too get her old self back. Also, Greece isn’t stuck within the realms of tradition anymore. The Greeks embrace US pop, rock, hip hop, RnB, heavy metal, just as much as people do in English speaking countries. Athens is a city. A big city that is influenced by western society. And PJ Harvey is HUGE here. So is Patti Smith. So is Nick Cave. Whom have all come here to put on shows and sold out.